We're looking for reports on today's WWE Super show in Hartford, CT (all the Smackdown crew, plus Daniel Bryan, Randy Orton, Rey Mysterio, Ronda Rousey, Braun Strowman, Roman Reigns and Alexa Bliss) and the Raw show in Portland, ME (headlined by Seth Rollins, Dean Ambrose, Drew McIntyre and Dolph Ziggler), as well as the NXT show in Venice, FL to newstips@wrestlingobserver.com. WWE uploaded a 13-minute video of Dave Bautista’s day from SmackDown 1000, which included him filming for the movie “My Spy” in Toronto, flying to Washington D.C. for SmackDown, and flying back to Toronto for the next day of filming. WWE stock closed the week at $82.03 per share, giving the company a $6.40 billion market capitalization. .Ahead of Evolution, WWE uploaded Charlotte Flair vs. Bayley vs. Sasha Banks vs. Becky Lynch from NXT TakeOver: Rival and Paige vs. Emma from NXT: Arrival to their YouTube account. Charlotte visited the WWE Performance Center today and spoke to the women’s division. Chelsea Green posted that she’ll be wrestling at NXT’s house shows in Cocoa, Florida on October 25 and Largo, Florida on October 26. The Mirror interviewed The Miz before SmackDown 1000. To promote Evolution, Becky Lynch, Alexa Bliss, Alicia Fox, and Mickie James participated in a “try not to laugh challenge” on The Fine Brothers’ YouTube channel. 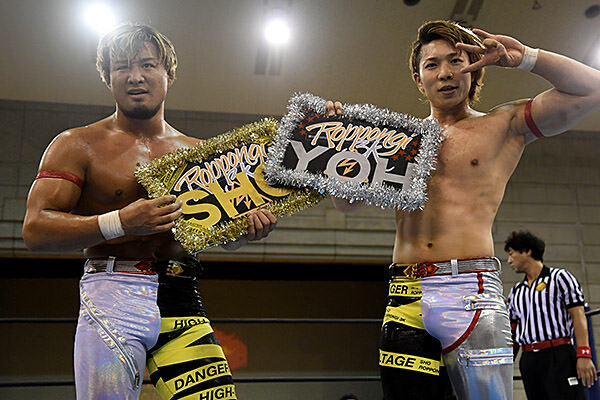 Sho & Yoh (2-1) defeated Taiji Ishimori & Robbie Eagles (2-1) and KUSHIDA & Chris Sabin (1-2) defeated Volador Jr. & Soberano Jr. (1-2) in the Super Junior Tag League matches at today’s Road to Power Struggle show in Ehime. The Young Bucks & Cody Rhodes defending their Six-Man Tag Team titles against The Kingdom (Matt Taven, Vinny Marseglia & TK O’Ryan) and Jay Lethal & Jeff Cobb vs. SoCal Uncensored (Frankie Kazarian & Scorpio Sky) are set for ROH’s Survival of the Fittest show in Columbus, Ohio on November 4. Impact Wrestling announced that they’ll be returning to Windsor, Ontario, Canada for television tapings at St. Clair College on March 22 and March 23. Lucha Underground (seasons one and two) is scheduled to be removed from Netflix on November 15. Jordynne Grace noted that she has to miss three shows this weekend due to the sprained ankle that she’s been working on. Grace wrote that she plans on rehabbing it extensively and returning at the end of the month. Shane Strickland vs. Tom Lawlor, El Hijo de LA Park vs. Sammy Guevara, and Barrington Hughes & Kotto Brazil vs. Lance Anoa’i & Samu aired on this week’s MLW Fusion episode. Kenny Omega did an angle with Don Callis at last night’s Premier Championship Wrestling show in Winnipeg, with Callis turning heel on Omega. WALTER will be the guest on an upcoming episode of Steve Austin’s podcast. With Luke Rockhold off the show due to injury, the card for UFC 230 at Madison Square Garden on November 3 has been reshuffled a bit. 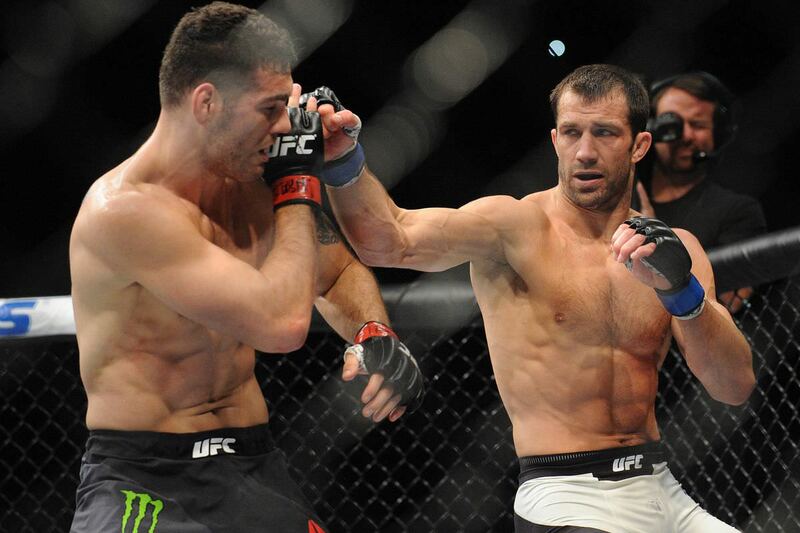 Chris Weidman, who was supposed to fight Rockhold, will now officially face Jacare Souza in the semi-main event. Souza was originally booked against David Branch, and Branch will now face Jared Cannonier on the show. Dana White doesn’t think that you should pay attention to rumors of Khabib Nurmagomedov boxing Floyd Mayweather: "Don't pay attention to it. First of all, the Mayweather team has not approached us at all. Khabib is under contract with the UFC; we haven't talked to anybody from the Mayweather team. Floyd is very good at getting his name back out there when he's ready to." Max Holloway, Brian Ortega, Valentina Shevchenko, and Joanna Jedrzejczyk are featured on the poster for UFC 231.